GCL produces LWC Copper Tubes and Coils for a variety of applications and supplies worldwide. We assure Quality, Time delivery and full customer satisfaction. The Pancake Coil (PCC) Copper Tube is mainly applied to air conditioning and refrigeration industry and installation. 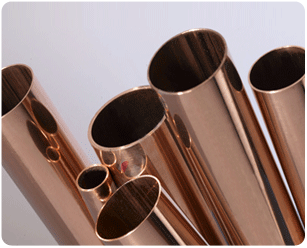 The straight copper tubes are used for air conditioning & refrigeration industries, electrical industries and sanitary purposes. Global Copper Ltd. is the leading manufacturer of LWC / PCC Copper Pipes and Tubes with the Cast and Roll Technology in India.